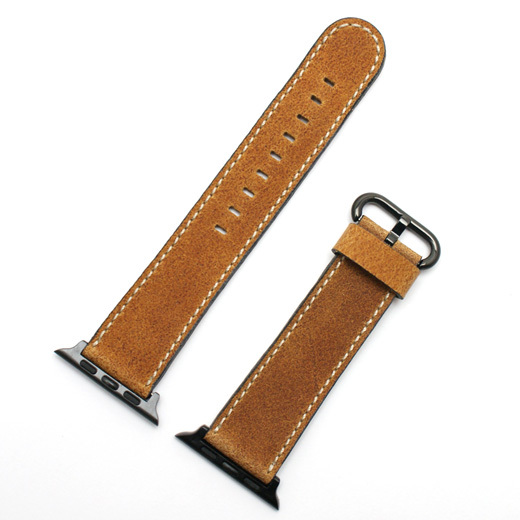 Finest Quality, hand made in Germany using a fifty step process and with a keen attention to detail, Fluco's brown leather Apple watch strap has is made from cowhide leather with a Velour finish, off white detail stitching, soft nubuck leather lining and a cut edge. 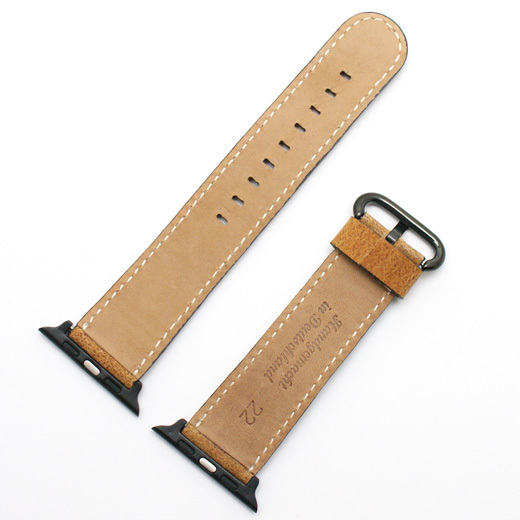 This great value leather replacement Apple watch strap comes in widths suitable for both watch sizes, pre-fitted with connectors / adapters, with a matching colour buckle and a single thick keeper. This strap will fit any series 1, series 2 or series 3 watch in both 38mm (20mm strap) or 42mm (22mm strap). Like all of our products, it is brand new and in stock in the UK, ready for our super fast shipping. 20mm Straps (38mm watch): buckle section (excluding buckle and connector): 65mm; holed section (spring bars to strap end): 110mm. 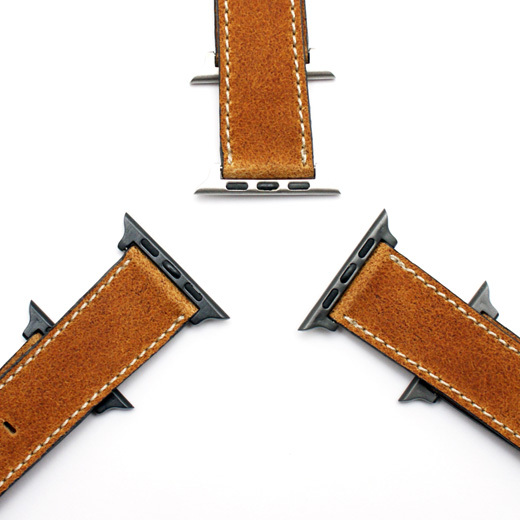 22mm Straps (42mm watch): buckle section (excluding buckle and connector): 75mm; holed section (spring bars to strap end): 120mm. Not exactly what you are looking for? We have a wide range, see the leather apple watch strap gallery for our other options.